Is this copper drain spouts and trim? 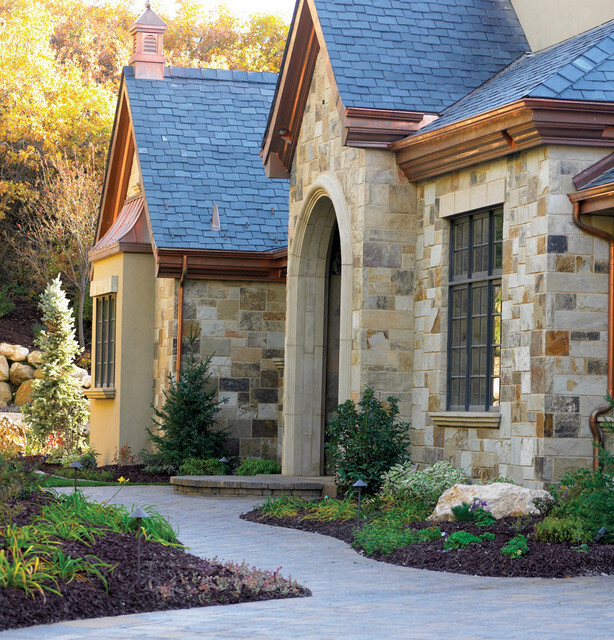 - The stone, the copper, the roofing and the landscaping - beautifully put together. do you have the product no. for the stone veneer? is this the stone that i see on front elevation ?? Yep! The stone on the elevation is Honeysuckle. Do you have a picture of the complete house? Stone exterior detailing is another hallmark. A natural muted palette works well with the landscape.